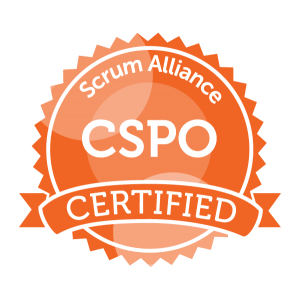 As a member of the Scrum Alliance I am passing on the news that the Certified Scrum Professional (CSP) certification is changing. Be a current holder of an active CSM, CSPO, or CSD certification. Please note that you may need to renew your CSM, CSPO, or CSD certification before you can apply for CSP. 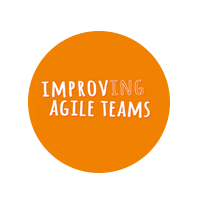 Have a minimum of 36 months of successful Agile/Scrum work experience gained within the past five years implementing Scrum inside organizations as development team member, Product Owner or ScrumMaster. Gather and submit 70 Scrum Education Units (SEUs) from the past three years. Note that SEUs earned from your CSM (up to 16 SEUs), CSPO (up to 16 SEUs) and/or CSD (up to 24 SEUs) certifications can put you well on your way. You can find more information on how to apply under the current scheme here. But if you do not quality do not fear. Luckily, there is a new and improved way to attain Certified Scrum Professional, based on a 2-year development plan after achieving a Certified Scrum Master (CSM), Certified Scrum Product Owner (CSPO) or Certified Scrum Developer (CSD). 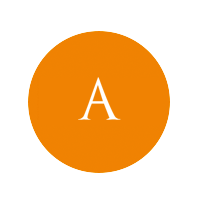 I joined forces with another fellow agile trainer and author, Geoff Watts, and we have been running “Advanced Scrum Master” classes for a number of years. I have recently been approved by the Scrum Alliance as a “Path to CSP Educator” which now allows me to help Certified Scrum Masters (CSM) continue their new journey. 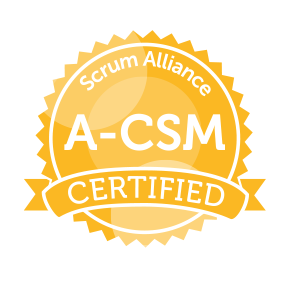 Our first ever “Advanced Certified Scrum Master (ACSM)course ran in London in June 2017 with great success, and our second in November has just sold out two months in advance! As demand seems high, we have scheduled more courses for 2018. You can see our course dates and book online here. 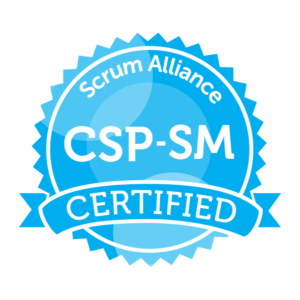 Geoff and I are already in the planning and design stages of new courses which will progress from Advanced Certified Scrum Master (ACSM) courses towards the full Certified Scrum Professional (CSP-SM) status. You can expect similar courses for Product Owners to follow next year too. 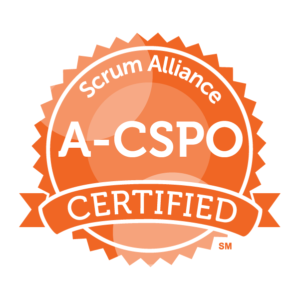 If you have any concerns or questions about the Certified Scrum Professional program or the new Advanced Certified Scrum Master training course, please get in contact.